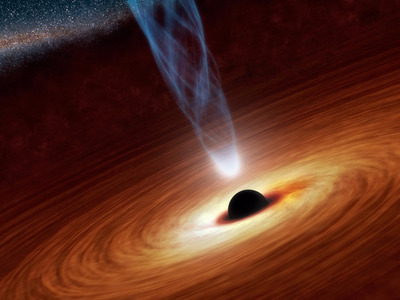 Hawking’s assertion that it is, in fact, possible to escape a black hole will not only transform our definition of them, it will also solve a longstanding riddle about what happens to the information that these mysterious space beasts devour. A black hole is a monstrous warping of the fabric of space and time. It’s a region where matter is almost infinitely compacted, and anything that gets too close is indiscriminately devoured. And for a while, we believed that nothing — not even light — could escape its intense gravity. In the 1970s, Stephen Hawking proposed that some things actually do wiggle free from the grasp of a black hole. When a black hole gulps up part of a particle-antiparticle pair, one half might escape, carrying away a tiny bit of the black hole’s energy in the form of Hawking radiation. But then, what happens to all the information that swirled helplessly past the black hole’s point of no return? So if this is the case, all of the information inside the black hole should actually be preserved somehow. And if not, that means that black holes disobey the laws of modern physics. Then what’s to say that other things don’t do the same? That means that our memories might not be real: the “past” might be an illusion. This is called the black hole information paradox, and it’s been confounding scientists for decades. But Hawking thinks he might be on track to finding a solution to this. Up until now, scientists thought that black holes were bald. 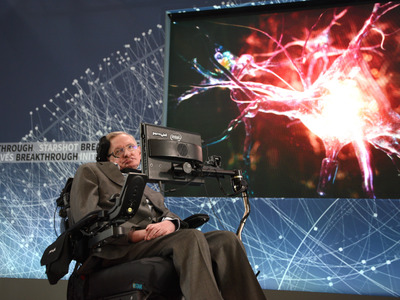 But Hawking says that black holes might actually be surrounded by halos of ‘soft hair,’ Science Alert reports. This peach fuzz would preserve all the information of everything that ever fell into the black hole. “That pattern, like the pixels on your iPhone or the wavy grooves in a vinyl record, contains information about what has passed through the horizon and disappeared,” the New York Times reports. But that doesn’t mean you can dive headfirst into a black hole and expect to make it out alive. What’s actually preserved is your information, not your physical body. And it doesn’t have to be preserved intact, it can be all jumbled up beyond repair.